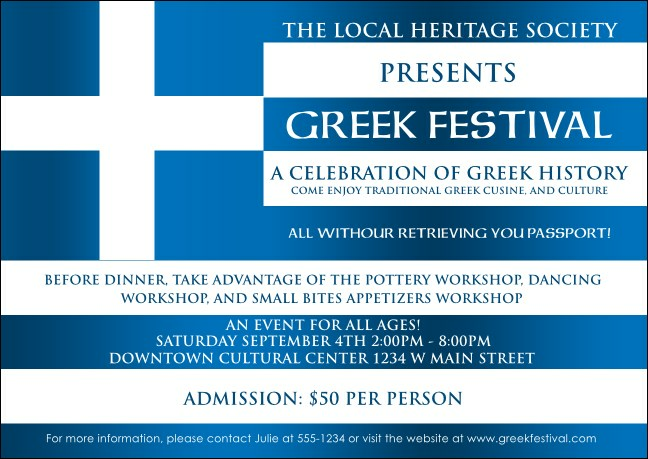 Let history be your guide when you use the Greek Flag Postcard to advertise your function! From the Acropolis and the Theatre of Epidavros to the ruins of ancient Delphi and Olympia, remind potential guests of the greatness of Greece. Thirteen lines can be used for event info. Easily promote any event with the right postcard from TicketPrinting.com!